S.A.R.A. Society: A No-Kill Animal Shelter in Surrey, B.C. The S.A.R.A. (Save Animals through Rescue and Adoption) Society is a no-kill shelter located in Surrey, British Columbia, Canada. A non-profit organization, S.A.R.A. provides surrendered dogs with a second chance in life by helping them find suitable and loving homes. S.A.R.A.’s strict no-kill policy provides a refuge for senior cats for a modest monthly board fee. In their care, they also have a selection of birds; cocketiels, budgies, love birds and doves. They enjoy free flight in a heated outdoor aviary. The society was founded in 1998. Over the years, the shelter has housed over 4,000 animals. Many found wonderful and loving homes through their adoption program, but S.A.R.A. also provides permanent housing for non-adoptable animals due to age, medical or behavioral problems. When they can, they help feed cats and dogs throughout the community by donating dry food to local support groups. The society is run completely by volunteers, and the adoptions are supported by the PETsMART located on 72nd, Surrey BC. Currently, they have 14 animals eager to find their forever home. It may be surprising to hear that British Columbia has the second-highest number of humane societies and shelters in Canada, after Ontario. Out of the total 170 reported humane societies and shelters, Ontario has 48, followed by BC with 39, although the number does not include private shelters or rescues. In total, these societies took in 82,000 cats and 35,000 dogs in 2015. Unfortunately, 1/5th of all cats were euthanized, and 1/10th of dogs were killed in these shelters in 2015. Although the number of euthanized animals have decreased in recent years, the number is far too high. These euthanization statistics lean unfairly towards younger or senior animals, or animals with special medical needs. Specific conditions and diseases make it difficult for these shelters to care for the animals, so instead, they’re put down. This is why no-kill shelters like S.A.R.A. Society are crucial for our communities, especially the animals that live in them. No-Kill shelters like S.A.R.A. provide both a transitional home for stray and rescued dogs, cats, and other animals. They also provide a permanent home for the rest. Every pet deserves a loving, caring forever-home, and the animals in S.A.R.A Society’s care are no different. The number of dogs and cats adopted have increased over the last few years. 48% of dogs and 57% of cats were adopted in 2015, as reported by The Star, citing the Canadian Federation of Humane Societies (CFHS). Adopting a pet is a responsibility that many new pet owners are now willing to take on. Adopting a pet, instead of buying one, means you’re choosing to save a life, instead of supporting irresponsible backyard breeders or puppy mills. S.A.R.A Society Spotlight: Meet Wong! S.A.R.A. 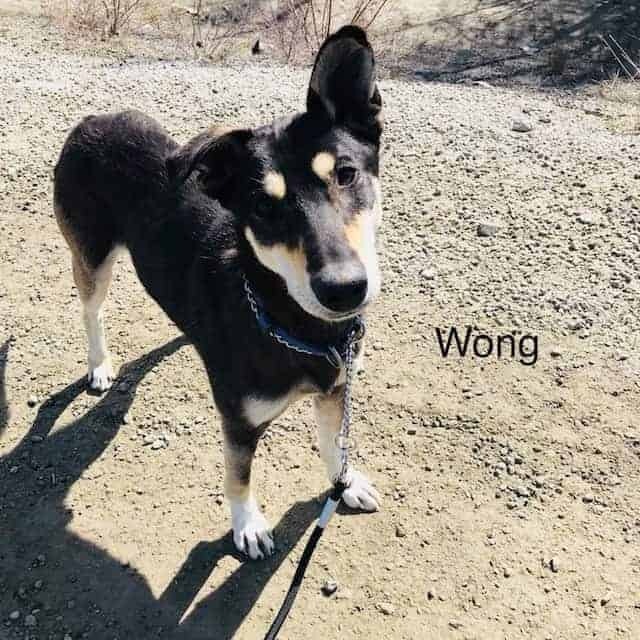 Society’s latest rescue is Wong — a sweet and gentle dog. Housetrained, and good with other dogs and children, Wong is looking for his forever home. He’s eager to be adopted by a loving and caring family after being rescued from the North West Territories. To adopt, please email sarasociety@gmail.com with a mini-profile of your home life. Pet Adoption, Animal Shelter statistics: Canadian Federation of Humane Societies 2015 Report. Canadian Mattress Recycling is a 100% locally-owned BC company with a team of employees dedicated to customer service and environmental preservation through recycling. We are located in the middle of Metro Vancouver on Annacis Island on Delta, BC and serve the entire Lower Mainland region and beyond.